2000 years later, there is still vast confusion among Christians in regard to a truly biblical definition of the new birth. Why? Because a true understanding of the new birth begs the following question: if such is true about the new birth, what do we need the institutional church for? Answer: we don’t. Institutional religion is a multibillion-dollar industry that supplies all of the trappings for the power hungry and lazy masses who want others to think for them. It is the supreme oligarchy of the ages. Confusion over the new birth is by design. If one reads through the book of Acts with a body mindset rather than an authoritative institutional mindset, thoughtful questions will arise. How did thousands of people cooperate together on projects without a central authority? It was an agreement on what the Bible teaches, NOT what select men say the Bible teaches. It was a body acting as one according to one head, Christ. That’s what we must return to. The obstacle is a belief that the new birth does not qualify the individual to be directly accountable to Christ according to one’s own interpretation of Scripture. Horribly, the institutional church is willing to compromise the souls of millions in order to control them. They redefine the new birth as a mere legal declaration given by God for believing that the new birth is just that; a position rather than state of being. The command to be holy is merely a command to be holy positionally by faith alone and obedience to the institutional church. The church is God’s authority on earth where forgiveness of “present sin” takes place. Hence, salvation is a mere covering of sin that can only be found in the church. Obviously, according to the reasoning, we are not really holy because we sin. Therefore, it is supposedly apparent that the new birth changes our status, not our actual state of being. This is a perilous gospel. The fundamental misunderstanding is the law’s relationship to the new birth, and also mortality’s relationship to the new birth. But, remember that the academics understand this issue, and see no need to address it because most Christians don’t know enough to even ask the right questions. This is by design, and the church has done its job well, ie., keeping the masses dumbed-down with religious traditions. So, how does a truly born again person possess true holiness? Romans 7:1 Or do you not know, brothers—for I am speaking to those who know the law—that the law is binding on a person only as long as he lives? 2 For a married woman is bound by law to her husband while he lives, but if her husband dies she is released from the law of marriage. 3 Accordingly, she will be called an adulteress if she lives with another man while her husband is alive. But if her husband dies, she is free from that law, and if she marries another man she is not an adulteress. 4 Likewise, my brothers, you also have died to the law through the body of Christ, so that you may belong to another, to him who has been raised from the dead, in order that we may bear fruit for God. 5 For while we were living in the flesh, our sinful passions, aroused by the law, were at work in our members to bear fruit for death.6 But now we are released from the law, having died to that which held us captive, so that we serve in the new way of the Spirit and not in the old way of the written code. As unbelievers not born again, we were under the written code that condemned us. This necessarily demands the death of the old person, and a literal resurrection resulting in a “new man” that serves the Spirit according to the truth of God’s word. Ephesians 4:20 – But that is not the way you learned Christ!— 21 assuming that you have heard about him and were taught in him, as the truth is in Jesus, 22 to put off your old self, which belongs to your former manner of life and is corrupt through deceitful desires, 23 and to be renewed in the spirit of your minds, 24 and to put on the new self, created after the likeness of God in true righteousness and holiness. Primarily, before the new birth, one is enslaved to the law’s condemnation. Sin is empowered by condemnation. Hence, “the power of sin is the law” (1Cor 15:56). And, being under the law’s condemnation actually provokes one to sin. Sin that dwells in the flesh or “members” (Rom 7:23) uses the law to provoke people to sin through desires: “But sin, taking opportunity through the commandment, produced in me every kind of lust” (Rom 7:8 English Majority Text). Once the law defines something as sin—sin uses the command to create a desire to break it in some way. This could be the law of God written on the heart of every person (Rom 2:12-16), or the Bible, or both. The law of God is written on their hearts. They have a conscience that either accuses them or excuses them. They experience reward for doing good and punishment for doing wrong. They are enslaved to condemnation. They are indifferent to the law of God. Sin within uses the law to produce sinful desires. Romans 7:22 – For I delight in the law of God after the inward man: 23 But I see another law in my members, warring against the law of my mind, and bringing me into captivity to the law of sin which is in my members. 24 O wretched man that I am! who shall deliver me from the body of this death? 25 I thank God through Jesus Christ our Lord. So then with the mind I myself serve the law of God; but with the flesh the law of sin (KJV). This is the major difference between someone born again and not born again: the transformed “inward man” or “mind,” which is the soul of the new man, loves the law of God and has the same desires as the Spirit because he/she is reborn into a new creature. The apostle Paul calls this reality “the law of God after the inward man,” “the law of my mind,” and in Romans 8:2, “the law of the Spirit of life.” Though the old man that was enslaved to the law’s condemnation is dead and gone, sin remains in the mortal body and is still able to use the law to create sinful desires, but with condemnation gone, sin’s ability to tempt through desires is greatly diminished. Paul calls this reality, “the law of sin,” and in Romans 8:2, “the law of sin and death.” The reality of “the law of the Spirit of life” has set us FREE from “the law of sin and death.” These “laws” speak of actual state of being and their relationships to the law (Bible/word of God). With everything Paul wrote in chapter 7, what is his main summarizing point? Answer: “There is therefore now no condemnation to them which are in Christ Jesus, who walk not after the flesh, but after the Spirit” (Rom 8:1 KJV). The whole in the flesh phraseology needs very important qualification. When Paul says there is no good thing in our mortal bodies, he is not saying that everything that comes from the flesh is evil. He is not making a Gnostic distinction between the material and the spiritual. The whole of Scripture pinpoints the specific problem with the flesh, and Romans 7:12 ff. and therefore needs to be interpreted via other Scriptures. 12 Wherefore the law is holy, and the commandment holy, and just, and good. 13 Was then that which is good made death unto me? God forbid. But sin, that it might appear sin, working death in me by that which is good; that sin by the commandment might become exceeding sinful. 14 For we know that the law is spiritual: but I am carnal, sold under sin. 15 For that which I do I allow not: for what I would, that do I not; but what I hate, that do I. 16 If then I do that which I would not, I consent unto the law that it is good. 17 Now then it is no more I that do it, but sin that dwelleth in me.18 For I know that in me (that is, in my flesh,) dwelleth no good thing: for to will is present with me; but how to perform that which is good I find not. 19 For the good that I would I do not: but the evil which I would not, that I do. 20 Now if I do that I would not, it is no more I that do it, but sin that dwelleth in me. 21 I find then a law, that, when I would do good, evil is present with me (KJV). Weakness with mortality (Matt 26:41, 1Cor 15:54). Was originally purchased by the Sin master through fleshly birth (Rom 7:14). The dwelling place of sin (Rom 7:23). The dwelling place of the Holy Spirit (1Cor 6:18-20). Christ’s members purchased by Him as our new master (1Cor 6:14). Able to be used for holy purposes (Romans 12:1). Peter complained that Paul was sometimes hard to understand, and false teachers use that difficulty to twist the Scriptures (2 Pet 2:16), and Romans 7:12-21 is probably the best example. Paul is NOT saying that we are only positionally righteous and unable to do good works. He is not saying that we remain unable and inherently sinful—he is saying the exact opposite. Telling is his statement that we do not sin, that only the sin within us sins (Rom 7:20). His point follows: the fact that we desire to obey the law of God proves that we are born again, ourselves good (Rom 15:14), and that the law is good. In regard to, “O wretched man that I am! who shall deliver me from the body of this death?” a word study will reveal that the word “wretched” refers to persevering in the midst of affliction. 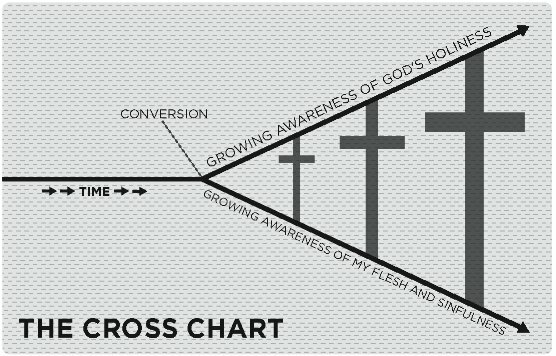 Being delivered from the body of death refers to redemption which is NOT the same thing as salvation; it refers to Christ coming to claim what He has purchased (1Cor 15:51-54, 1Cor 6:20). The desires propagated by sin which dwells in the flesh are against the desires of your Father which you share because you are born of Him. These two desires are opposed to each other and keep you from doing what you want to do; you want to obey God perfectly. Your spirit is willing because you are born of God, but your flesh is weak. Romans 6:15 – What then? Are we to sin because we are not under law but under grace? By no means! 16 Do you not know that if you present yourselves to anyone as obedient slaves, you are slaves of the one whom you obey, either of sin, which leads to death, or of obedience, which leads to righteousness? 17 But thanks be to God, that you who were once slaves of sin have become obedient from the heart to the standard of teaching to which you were committed, 18 and, having been set free from sin, have become slaves of righteousness. 19 I am speaking in human terms, because of your natural limitations. For just as you once presented your members as slaves to impurity and to lawlessness leading to more lawlessness, so now present your members as slaves to righteousness leading to sanctification. 20 For when you were slaves of sin, you were free in regard to righteousness. 21 But what fruit were you getting at that time from the things of which you are now ashamed? For the end of those things is death. 22 But now that you have been set free from sin and have become slaves of God, the fruit you get leads to sanctification and its end, eternal life. 23 For the wages of sin is death, but the free gift of God is eternal life in Christ Jesus our Lord. 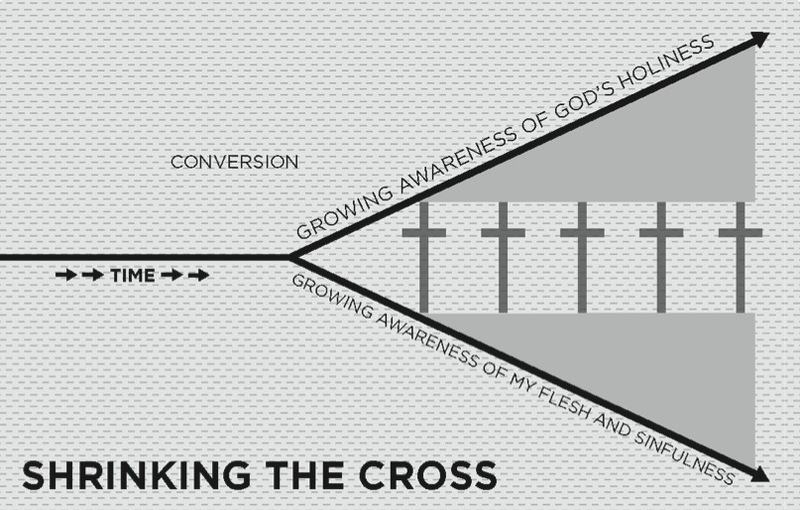 This is how Christians find themselves mired in “addictions.” As they obey sinful desires, those desires become more and more intensified and therefore more difficult to refuse. In various and sundry ways, they are supplying “provisions” to sinful desires located in the flesh (Rom 13:14) leading to more and more lawlessness (Rom 6:19). This is how professing Christians can be enslaved to sin “once again” (Gal 5:1) for no good reason (Gen 4:6). Sin still desires to control; that’s what sin does, but the Christian can master sin and progress in holiness. The progression and growth takes place through the word of God (the law of the Spirit of life Rom 8:2, John 17:17, 1Pet 2:2) and putting the word of God into practice (Matt 7:24, Jms 1:22, Eph 4:22-24). Ironically, any doctrine that waters down a literal new birth and its relationship to the law accordingly, and thus enabling condemnation, will propagate sin and enslave people to it. This is why just as much sin may be found in the institutional church as in the world—if not more so. Keeping God’s people under condemnation enables the institutional church to control people, which adds even more irony because that is the very essence of sin itself—sin seeks to control. Also, fear and love is misplaced. Like all nouns describing state of being in biblical context, love and fear have their perspective places in distinctions between law and grace. The latter, grace, does not exclude law. Being under grace as opposed to being under law (Rom 6:14) means that we are under the law of the Spirit of life (Rom 8:2) and controlled by “the law of my mind,” or “the perfect law of liberty” (Jms 1:25) that sets us free from the “law of sin and death.” Nevertheless, the reality of ongoing sin and death continues for the saved as well as the unsaved. For the unsaved, they experience lesser death leading to ultimate death because the only wages they can ultimately receive under their present master is death. Under their present master, they are free to do good, but enslaved to unrighteousness—condemnation is their wage (Rom 6:20). But under Christ, or in Christ, we are enslaved to righteousness, but free to sin (Rom 6:18). This is in context of the master we are under and wages received by that master. Because we are under the law of Christ (Gal 6:2), God would be unjust to forget our love and service to the saints (Heb 6:10). Why? Because it is a wage that is owed, and paid out in life, peace, and wellbeing. It is a life built upon a rock (Matt 7:24). Psalm 34:12 – What man is he that desireth life, and loveth many days, that he may see good? 13 Keep thy tongue from evil, and thy lips from speaking guile. 14 Depart from evil, and do good; seek peace, and pursue it. 15 The eyes of the Lord are upon the righteous, and his ears are open unto their cry. 16 The face of the Lord is against them that do evil, to cut off the remembrance of them from the earth (KJV). Ephesians 6:1 – Children, obey your parents in the Lord: for this is right. 2 Honour thy father and mother; which is the first commandment with promise; 3 That it may be well with thee, and thou mayest live long on the earth (KJV). Philippians 2:12 – Therefore, my beloved, as you have always obeyed, so now, not only as in my presence but much more in my absence, work out your own salvation with fear and trembling, 13for it is God who works in you, both to will and to work for his good pleasure. Obviously, the Scriptures never advocate fear of condemnation, but a healthy fear of consequences for flippantly regarding the call to love is strongly endorsed, especially when one considers that we are helped with the resources of the Trinity. Christ said, If you love me keep my commandments, and then immediately after said, and I will send you a ANOTHER HELPER (John 14:15,16 ESV). God helps us (Phil 2:12), Christ helps us, and the Spirit helps us. Therefore, Christ said that we will, together, do more than He ever did because He is with the Father. A call to serious loving discipleship made possible by the price that Christ paid is a very serious matter; therefore, “it is time for judgment to begin at the household of God” (1Pet 4:17). God made this point as well with Ananias and Sapphira. There is no fear in love under grace, but there is indeed fear in relaxing (Matt 5:19 ESV) the law of the Spirit of life that has set us free from the law of sin and death. James 2:1 – My brothers, show no partiality as you hold the faith in our Lord Jesus Christ, the Lord of glory. 2 For if a man wearing a gold ring and fine clothing comes into your assembly, and a poor man in shabby clothing also comes in, 3 and if you pay attention to the one who wears the fine clothing and say, “You sit here in a good place,” while you say to the poor man, “You stand over there,” or, “Sit down at my feet,” 4 have you not then made distinctions among yourselves and become judges with evil thoughts? 5 Listen, my beloved brothers, has not God chosen those who are poor in the world to be rich in faith and heirs of the kingdom, which he has promised to those who love him? 6 But you have dishonored the poor man. Are not the rich the ones who oppress you, and the ones who drag you into court? 7 Are they not the ones who blaspheme the honorable name by which you were called? Romans 3:19 – Now we know that whatever the law says it speaks to those who are under the law,so that every mouth may be stopped, and the whole world may be held accountable to God. 20 For by works of the law no human being will be justified in his sight, since through the law comes knowledge of sin. Galatians 5:6 – For in Christ Jesus neither circumcision nor uncircumcision counts for anything, but only faith working through love. 18 But someone will say, “You have faith and I have works.” Show me your faith apart from your works, and I will show you my faith by my works. 19 You believe that God is one; you do well. Even the demons believe—and shudder! 20 Do you want to be shown, you foolish person, that faith apart from works is useless? 21 Was not Abraham our father justified by works when he offered up his son Isaac on the altar? 22 You see that faith was active along with his works, and faith was completed by his works;23 and the Scripture was fulfilled that says, “Abraham believed God, and it was counted to him as righteousness”—and he was called a friend of God. 24 You see that a person is justified by works and not by faith alone. 25 And in the same way was not also Rahab the prostitute justified by works when she received the messengers and sent them out by another way? 26 For as the body apart from the spirit is dead, so also faith apart from works is dead. 1John 4:7 – Beloved, let us love one another, for love is from God, and whoever loves has been born of God and knows God. 8Anyone who does not love does not know God, because God is love. Indifference to God’s law of faith fulfilled by love, the relaxing of it, and especially a belief that we cannot keep it, is indicative of those who are transgressors of the law, ie., they are still under the law of sin and death. Some even boast that they have faith without works, or in reality, faith without love—James charges that such faith will not save. Note what James said about Abraham: “You see that faith was active along with his works, and faith was completed by his works.” James is saying that Abraham fulfilled the law of faith through his love for God demonstrated through obedience. The same goes for his example of Rahab; the controversy of her means is not the point as she was not under law, the point is her love for the spies and the God whom they were serving. By “works,” James is really referring to love. It is also important to note that the biblical idea of maturing in love is often translated “perfect” in the English. The idea is not perfect love, but rather maturing in love. Maturing in love is the issue, NOT perfect law-keeping. Moreover, James calls us to act like those who will be judged by the law of love at the Bema seat, not those who will be judged by the law of works at the Great White Throne judgment. Those who will stand there think they have faith alone, and therefore can have a relaxed attitude about the law while selectively obeying it. They see a single perspective on the law as set against faith alone and thereby keeping themselves under the law of works (the point of Jms 2:10). They are not acting as those who will be judged according to how much they matured in love—that’s James’ entire point. Romans 8:3 – For God has done what the law, weakened by the flesh, could not do. By sending his own Son in the likeness of sinful flesh and for sin, he condemned sin in the flesh, 4 in order that the righteous requirement of the law might be fulfilled in us,who walk not according to the flesh but according to the Spirit. 5 For those who live according to the flesh set their minds on the things of the flesh, but those who live according to the Spirit set their minds on the things of the Spirit. 6 For to set the mind on the flesh is death, but to set the mind on the Spirit is life and peace. 7 For the mind that is set on the flesh is hostile to God, for it does not submit to God’s law; indeed, it cannot. 8 Those who are in the flesh cannot please God. Tagged with: "faith alone", "living by faith alone", "present sin", "see more Jesus", Bema Judgment, covering sin versus ending sin, false double imputation construct, Great White Throne judgment, Justification, New Birth, Protestant Orthodoxy, Protestant tradition, Protestantism's Denial of New Birth, Romans 8:1, single perspective of the law, the flesh, the institutional church, the law of sin and death, the law of the Spirit of life, there is no condemnation, two-fold purpose of the law, weakness of the flesh, what is the gospel, what is the new birth?